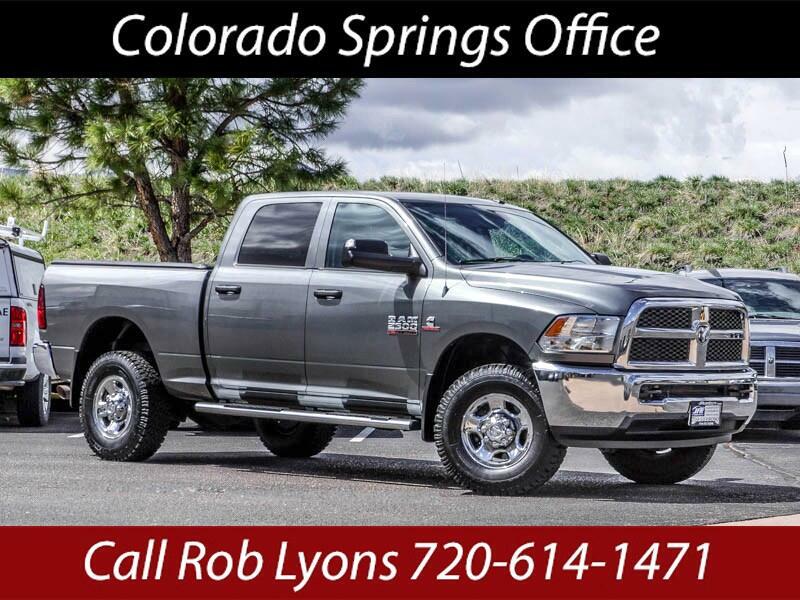 Used 2013 RAM 2500 Tradesman Crew Cab SWB 4WD for Sale in Littleton CO 80120 JFR & Associates, Inc. When nothing less will do... take a look at this Ram 2500; it offers a quiet ride, roomy interior, massive torque and high-quality materials in the cabin. This heavy-duty truck, with its impressive hauling and towing capabilities, can handle just about anything you need it to do. You'll find the ride of this 2500 firm yet comfortable even though it's built to tackle the hardest of jobs. The cabin provides one of the best interiors among all pickup trucks. The materials are high-quality and built to last; the seats are comfortable and supportive. This Ram 2500 comes with a wide range of options like a tow package, fog lights, Diesel engine, aux audio jack, bed liner, MP3 CD player, locking pickup truck tailgate, power running boards, Satellite Radio, plus lots more to make your drive more enjoyable. You are cordially invited to take this highly desirable Ram 2500 for a test drive and discover for yourself why this truck is so popular. Contact us today and schedule a test drive. You'll be glad you did.